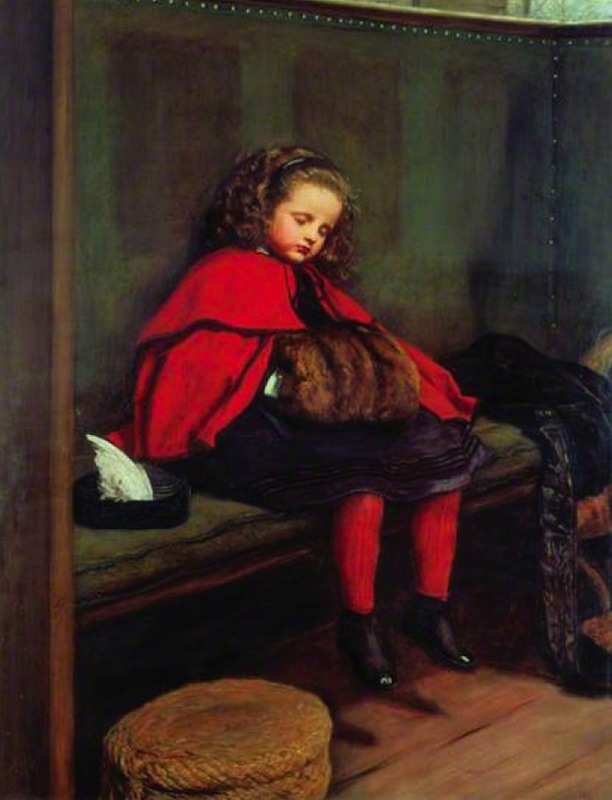 The artist's son and biographer, John Guille Millais, writes, "with a view to the well-known picture, My First Sermon, my sister Effie, then [in 1862] a child of five years, was selected as the model. She also sat two years later for the companion picture of My Second Sermon, and from that time onwards all the children in turn were enlisted as models for different pictures" (371-72). Effie had been five in the earlier portrait; despite being a little older now, she is shown as having been lulled to sleep by the sermon. This was, after all, no longer a novel experience for her. 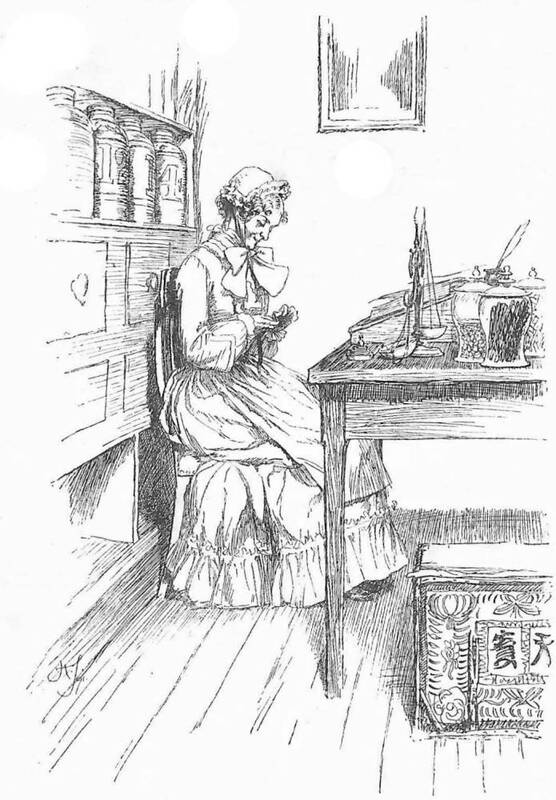 Everything about her, from her curly hair freed from her Sunday hat, to her little dangling legs, suggests the "sweet and peaceful slumber" referred to in the long quotation below. I would say for myself that I always desire to derive profit as well as pleasure from my visits to these rooms. On the present occasion I have learnt a very wholesome lesson, which may be usefully studied, not by myself alone, but by those of my right reverend brethren also who surround me. I see a little lady there (pointing to Mr. Millais' picture of a child asleep in church, entitled My Second Sermon), who, though all unconscious whom she has been addressing, and the homily she has been reading to us during the last three hours, has in truth, by the eloquence of her silent slumber, given us a warning of the evil of lengthy sermons and drowsy discourses. Sorry indeed should I be to disturb that sweet and peaceful slumber, but I beg that when she does awake she may be informed who they are who have pointed the moral of her story, have drawn the true inference from the change that has passed over her since she has heard her "first sermon," and have resolved to profit by the lecture she has thus delivered to them. [qtd. in Millais 379]. The Archbishop in these years (from 1862-68) was the enthusiastic, cultivated and well-liked Charles Longley, so he was able to take Millais' humour in good part. In the painting itself, the humour relieves any hint of sentimentality in the affectionate portrait of a beloved grandchild. — Jacqueline Banerjee. Millais, John Guille. The Life and Letters of John Everett Millais, President of the Royal Academy. 2 vols. Vol. 1. London: Methuen, 1899. Internet Archive. Web. 15 February 2015.